Adam’s parents had a cat named Bagley. They rescued him when he was a little baby kitten and he pretty much never stopped growing from that day forward. He was in the mid-30 pound range at his best. Yikes, Bagley. He didn’t really overeat; he was just big-boned I think. Though Bahley literally had a big heart he had a figurative one, too. He was a sweetie with big baby eyes who loved to be loved. He also liked to lick his brother Shatze but Shatze would bite him. 😦 Poor Bagley. Don’t be afraid; he’s just a big talker. 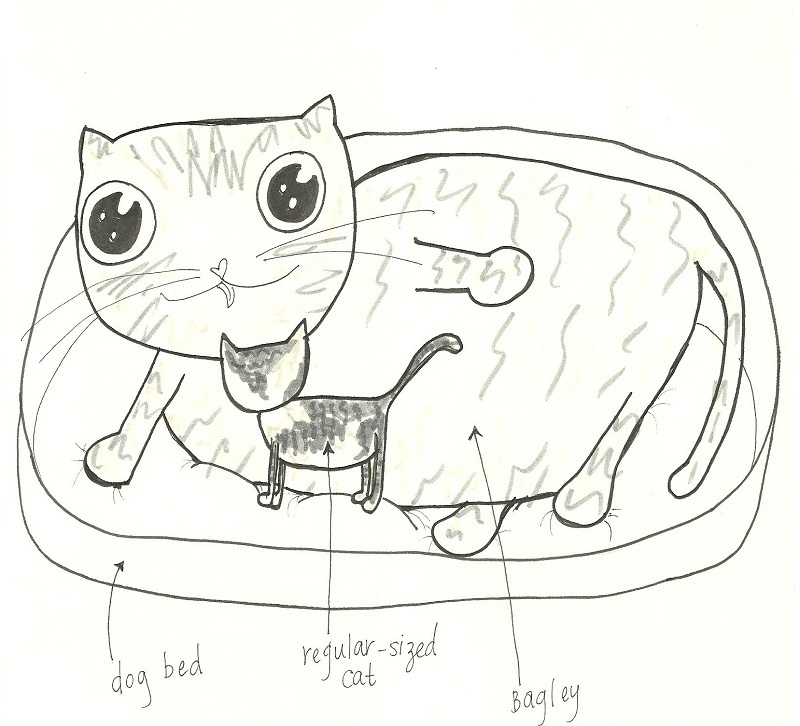 That is a purrfect rendering of Bagley (sorry, can’t resist the pun, it’s the Ohio in me coming out). 30 pounds! I thought my boy Henry was big and he was 18 pounds.